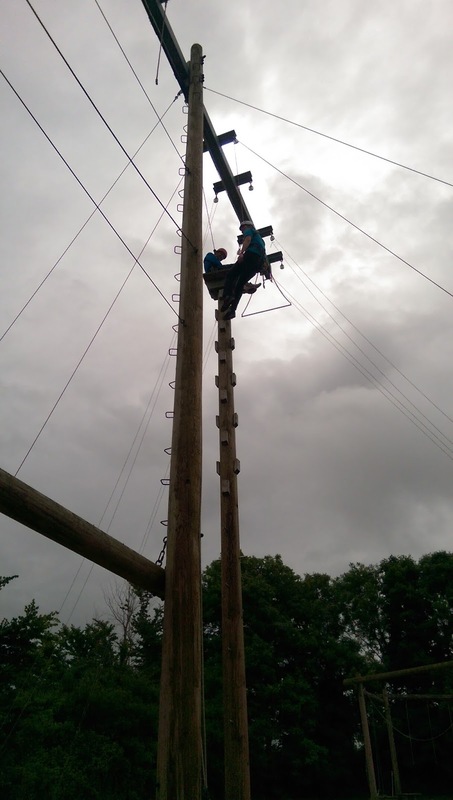 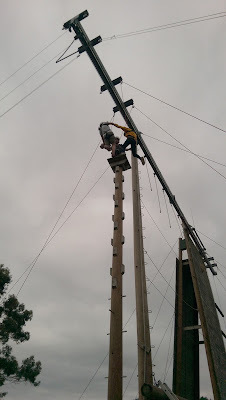 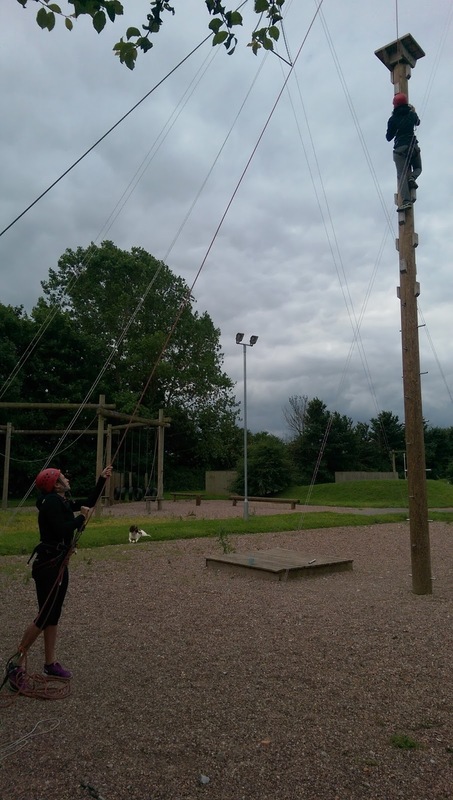 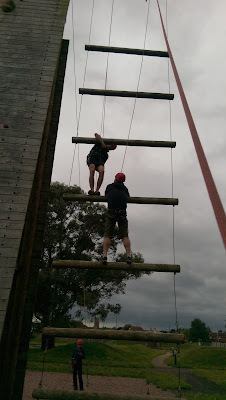 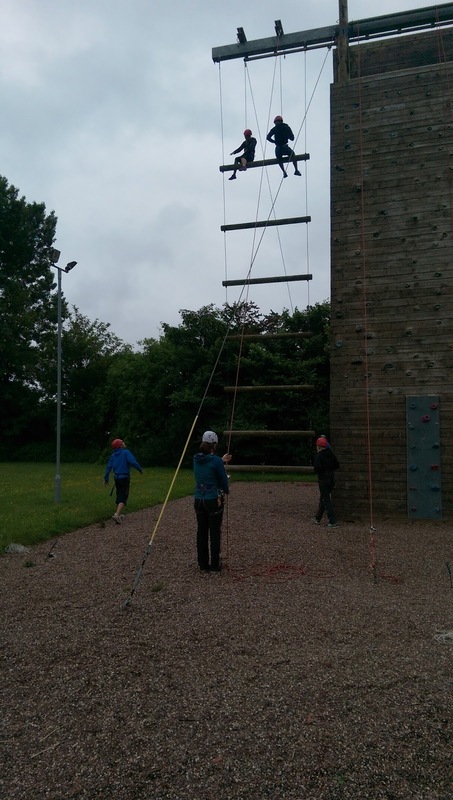 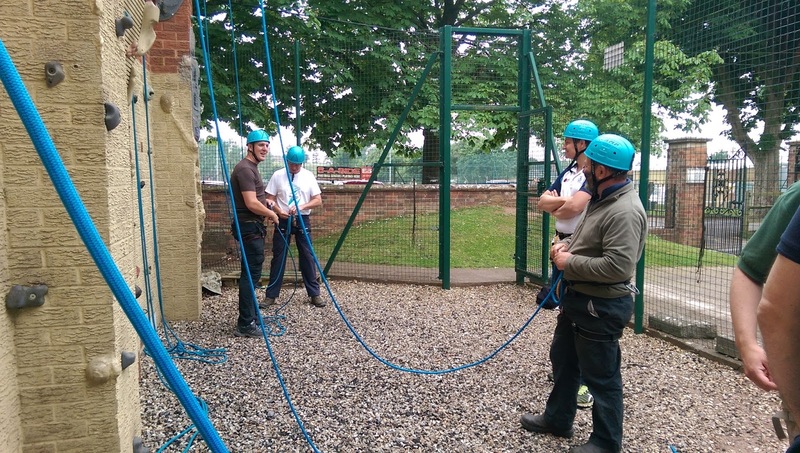 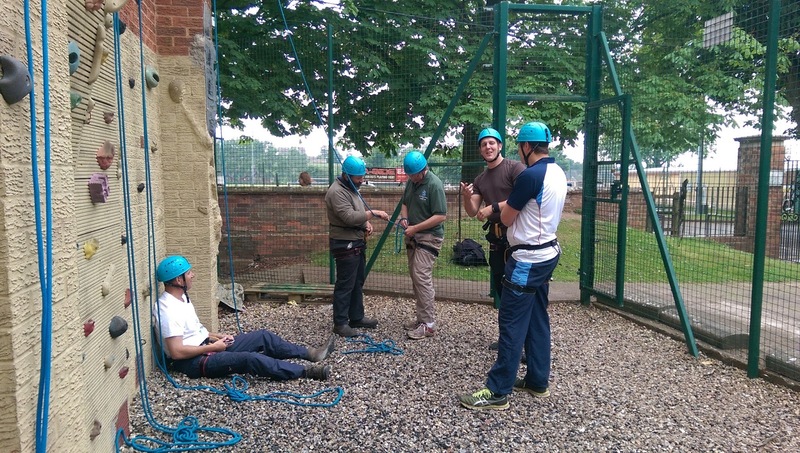 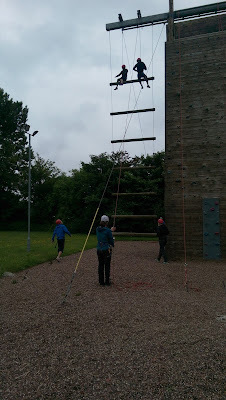 Another quick visit to Cannington Activity Centre today to assess a couple of staff at the High Ropes. 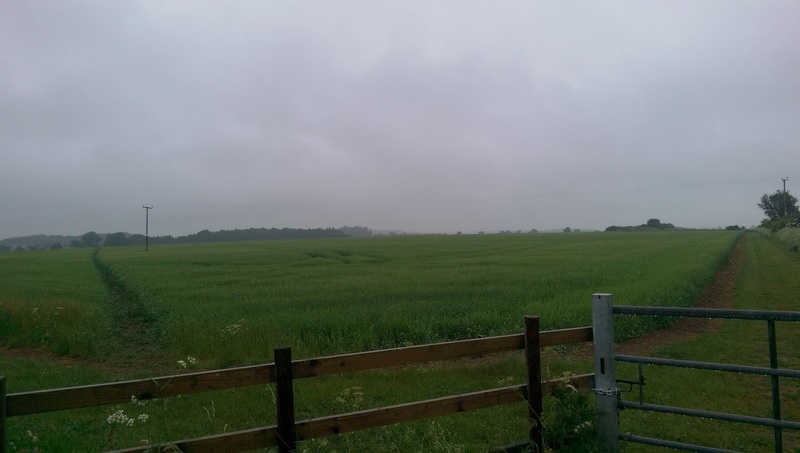 Today I was doing a supported DofE assessment for Danny. 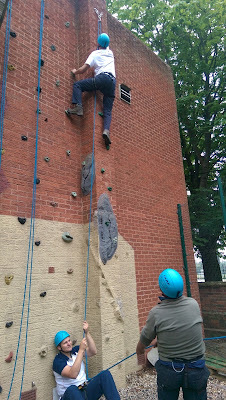 ie he is new to it so I was helping him out. 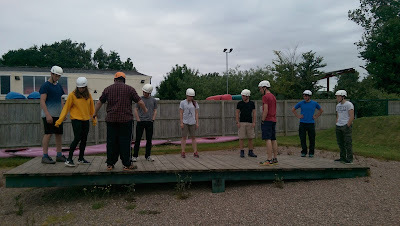 Fortunately Danny also paddles so we got a few hours afloat around Babbacombe in between seeing the group. 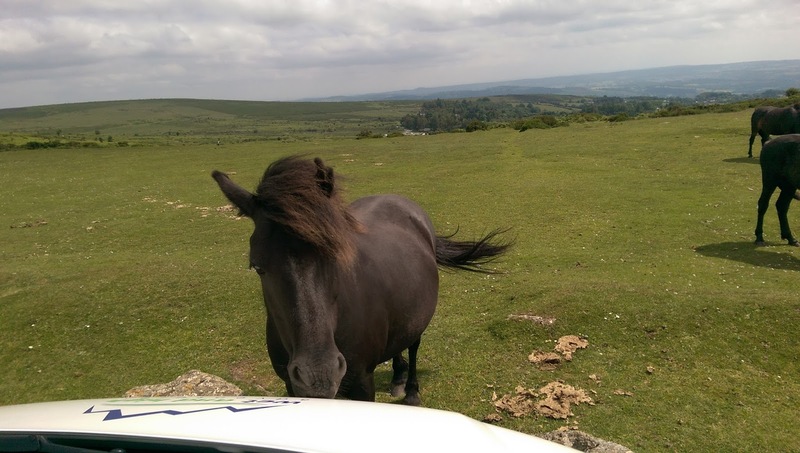 This weekend I have been based in Devon. 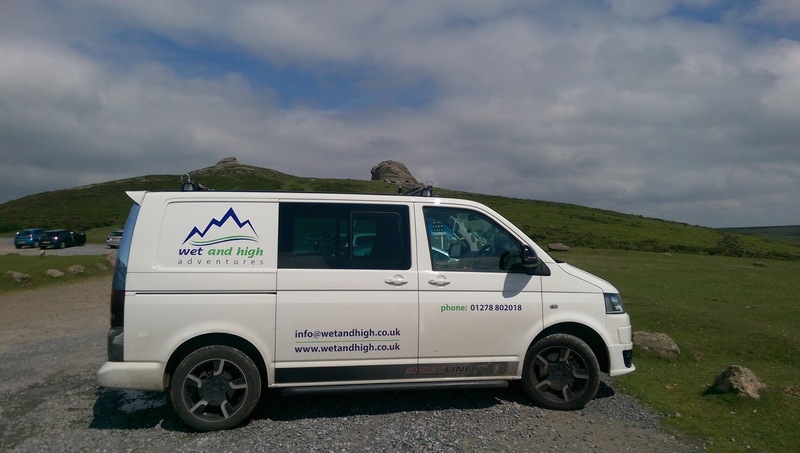 Saturday I was working with Abbey School climbing at Haytor and then bouldering at Bonehill Rocks. Around this I was assessing a Bronze DofE Group in Torbay for Devon Studio School. 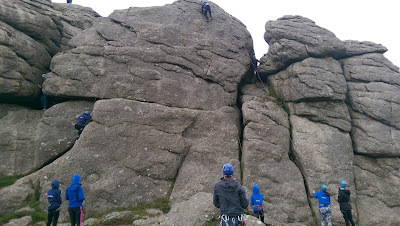 Today was quite wet so the climbing group and I went to Dart Rock for a spot of indoor climbing and artificial caving. 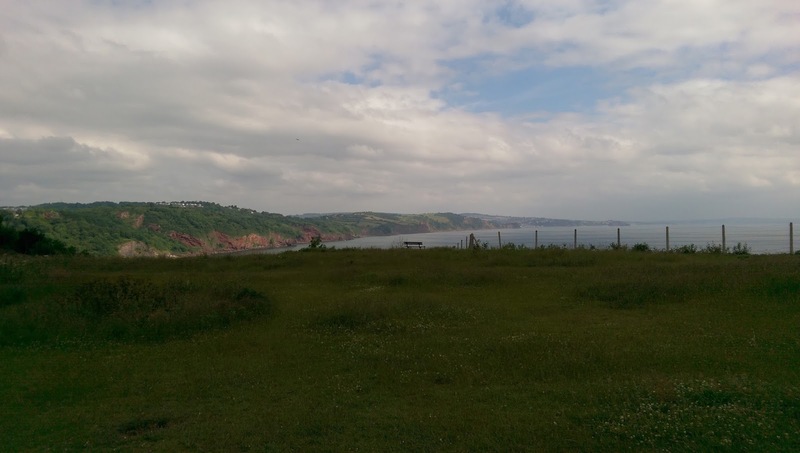 Then it was back to Torbay to meet the DofE group at the finish. This weekend I have been working for BXM Expeditions in The Cotswolds in a Bronze DofE Expedition. 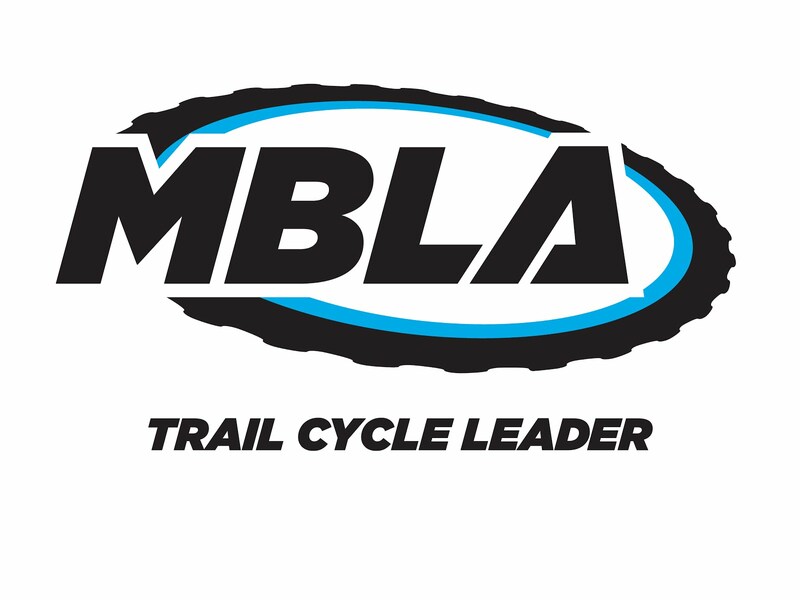 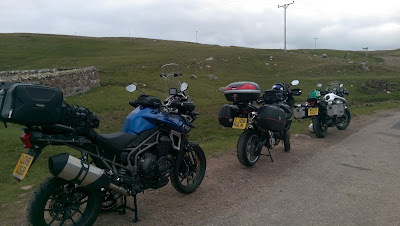 I spent the weekend check pointing a couple of teams who all passes. 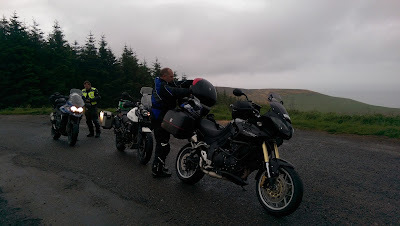 Pretty wet to be honest, the one picture says it all. 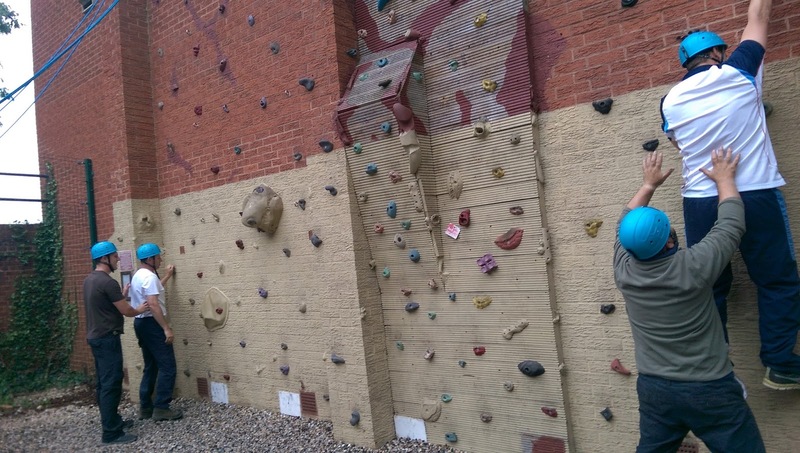 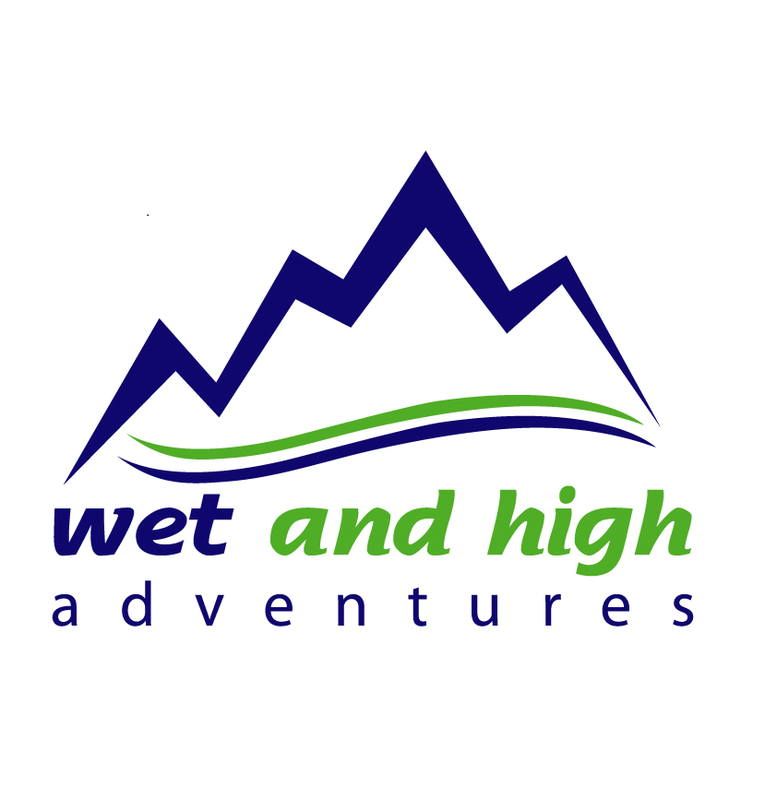 Today I was working for Wet and High Adventures delivering some staff training to Wellington School staff for the climbing wall. 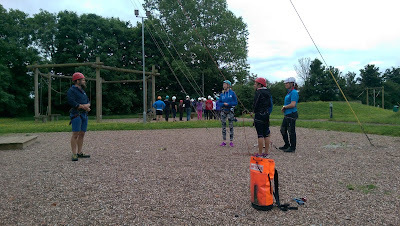 We looked at both technical and coaching aspects during the day and they now have 4 more staff who can run sessions for the students. Early start from Inverness saw us having breakfast at Aviemore. Then it was a great twisty ride round to Braemar for coffee and cake with my cousin Will before more great roads into Pitlochry. 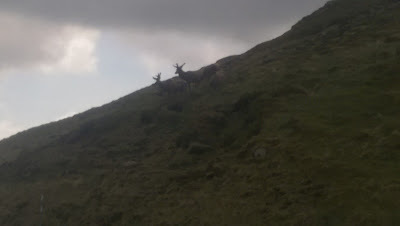 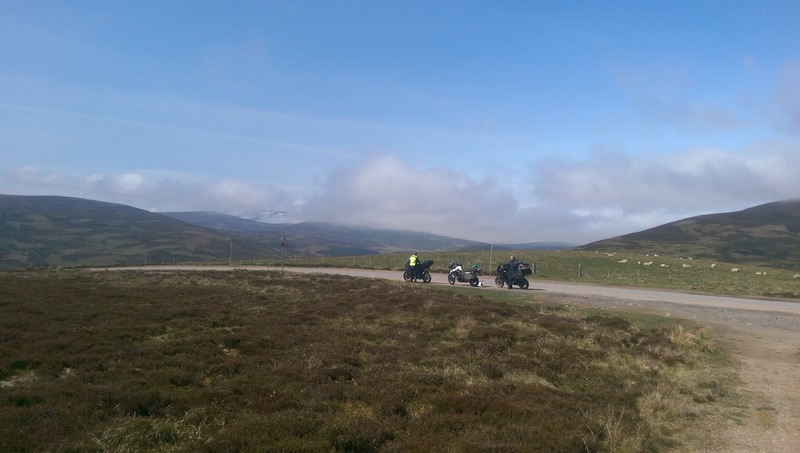 We saw a small herd of deer about 20m from the road at Glenshee. 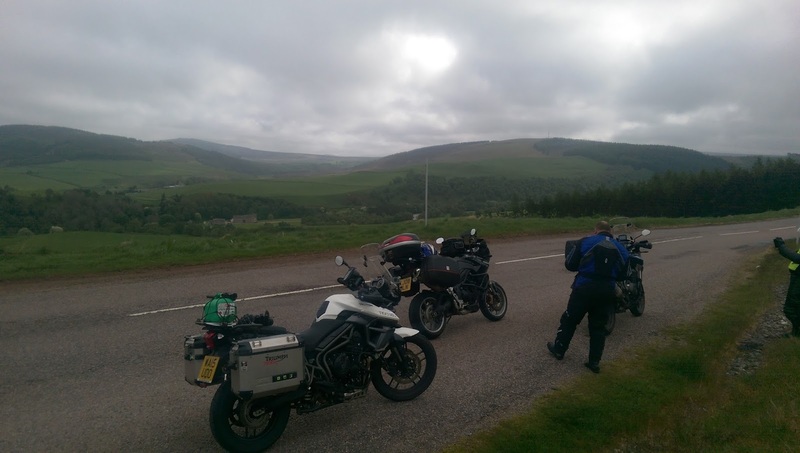 From Pitlochry it was down the A9 to Edinburgh where Gary and I said bye to Mark (who is pushing on further south tonight) and found our hostel in the centre of the city. 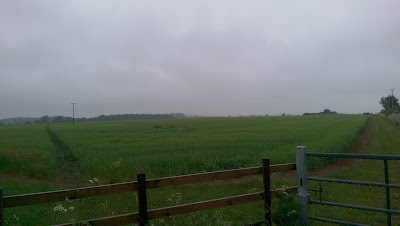 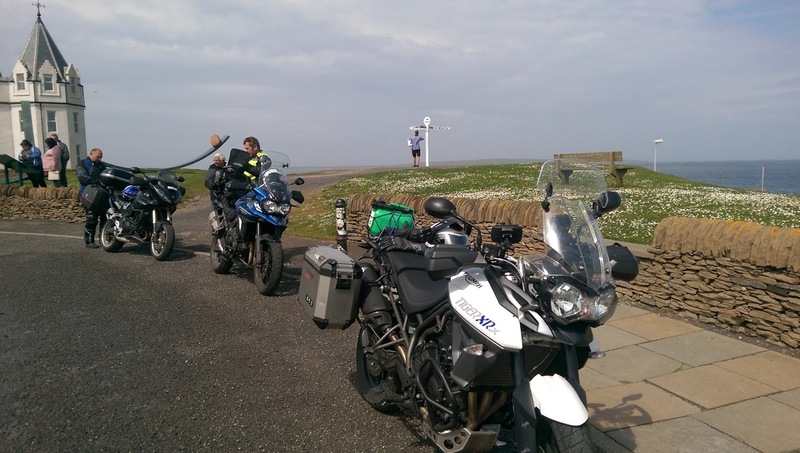 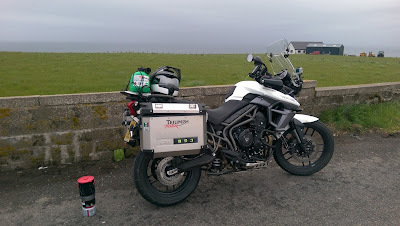 A misty start along the North coast to Thurso (Breakfast) and then onto John O Groats just as the sun came out. 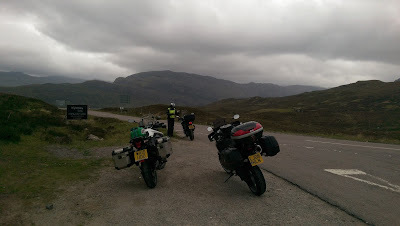 However this was short lived and we got rained on during the ride south to Inverness. We stopped for a coffee (just to use the stove we had been carrying) on route but good to get back to Inverness to dry out. 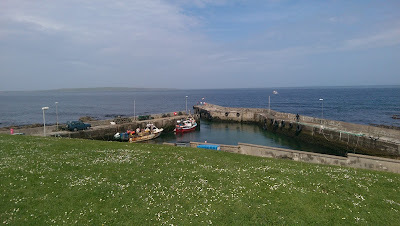 More sun is due tomorrow. 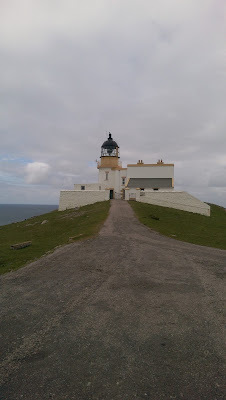 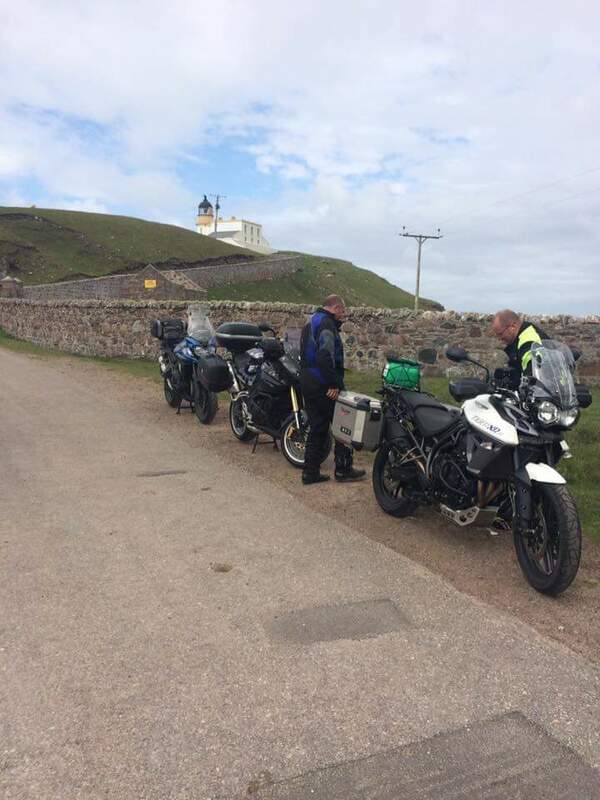 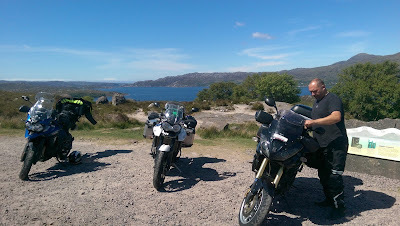 Today was a great ride from Gairloch via Ullapool (Breakfast), Lochinver, Stoer Lighthouse and Durness. 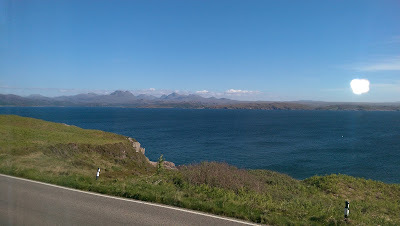 Some great unclassified and B roads along the coast (sometimes only a few metres from it). 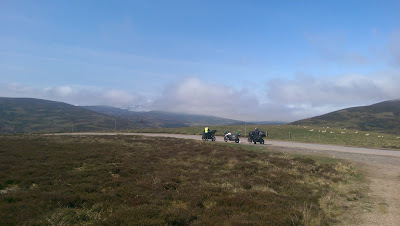 Bend after bend, blind downhill lefts followed by blind summits into tight rights, kept us on our toes all day. 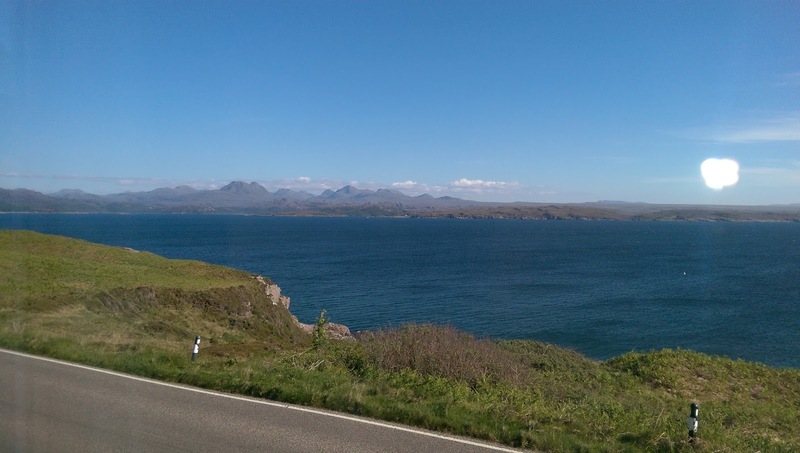 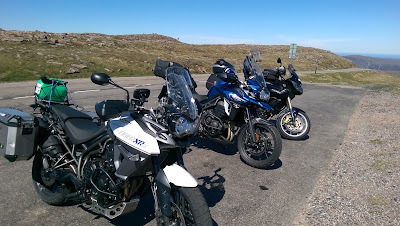 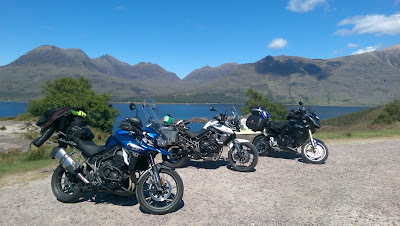 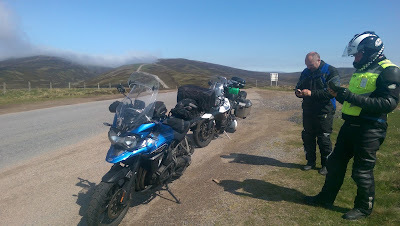 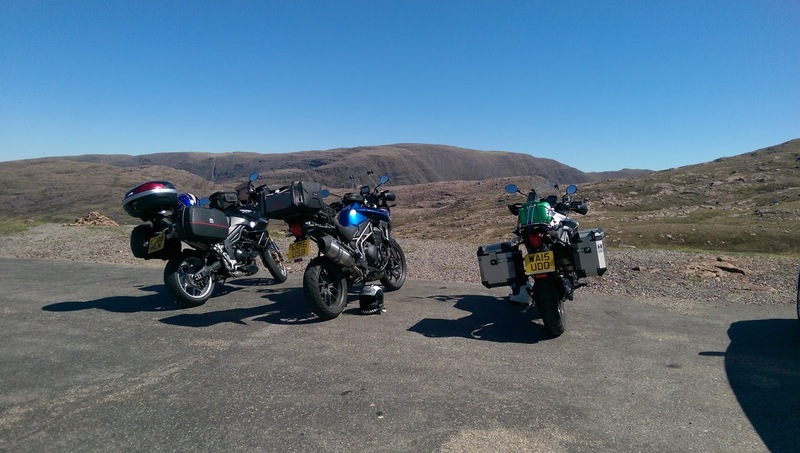 Today was an amazing sun drenched ride from Inverness to Gairloch via Strathcarron, Applecross and Toridon. Even though we grabbed a can of fuel from Inverness, there was no need to use it as more petrol stations than expected. Great roads, great scenery and some pretty good cake.